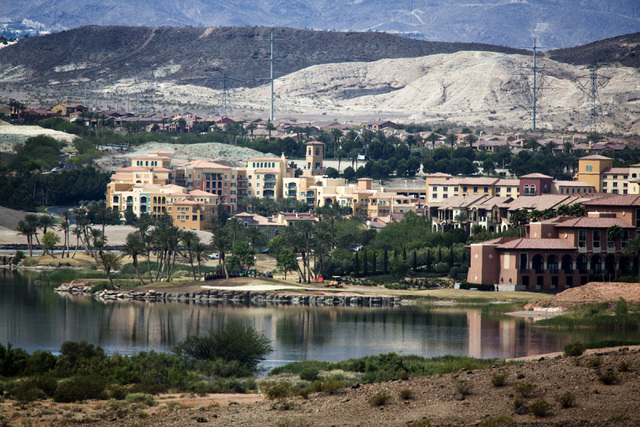 If you get called to a board meeting at Lake Las Vegas, you might want to bring your swimsuit. 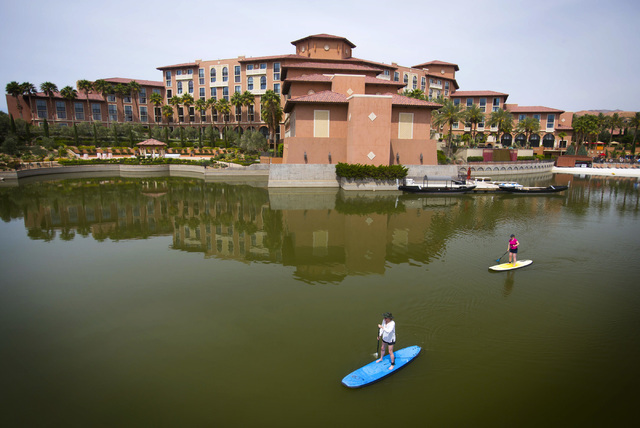 That’s the term Westin at Lake Las Vegas marketing director Matt Boland uses for upright paddleboard races, one of many team-building exercises offered regularly at the resort. 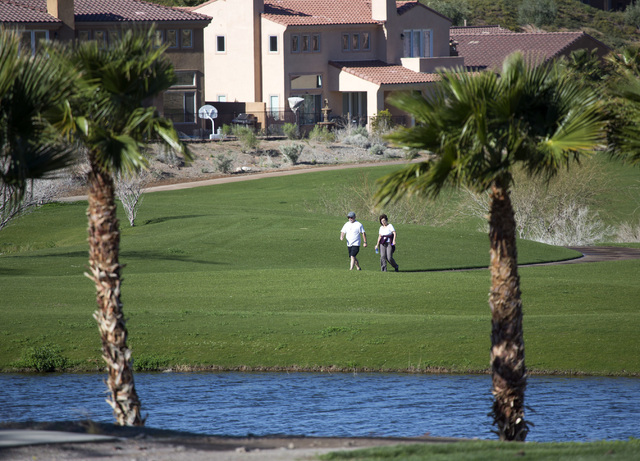 If you get called to a board meeting at Lake Las Vegas, you might want to bring your swimsuit. 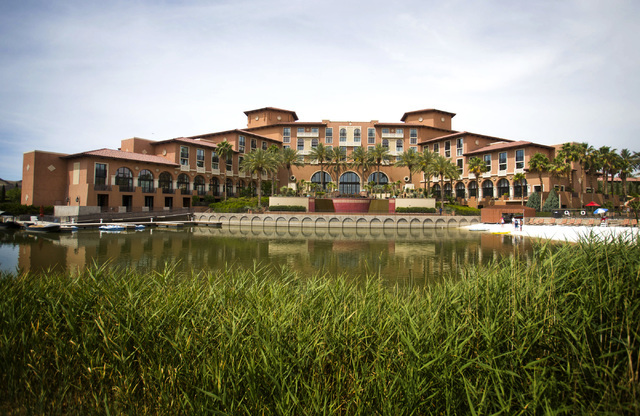 That’s the term Westin at Lake Las Vegas marketing director Matt Boland uses for upright paddleboard races, one of many team-building exercises offered regularly at the resort. “Most of it is about relaxation and fun and trying to do something outside the norm,” Boland said. 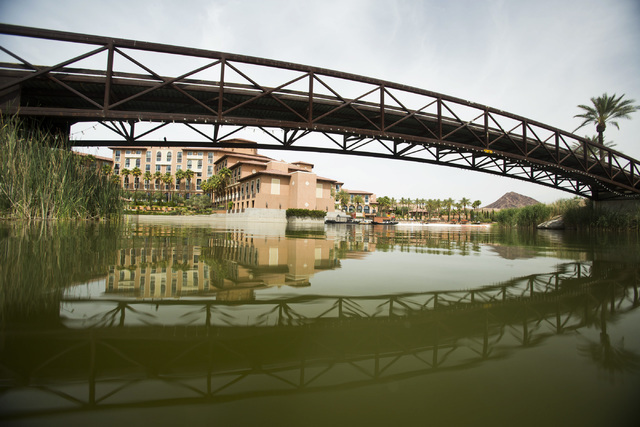 Along with residential properties around the 320-acre man-made lake in Henderson, the 3,600-acre site is home to golf courses, retail shops and two hotels. 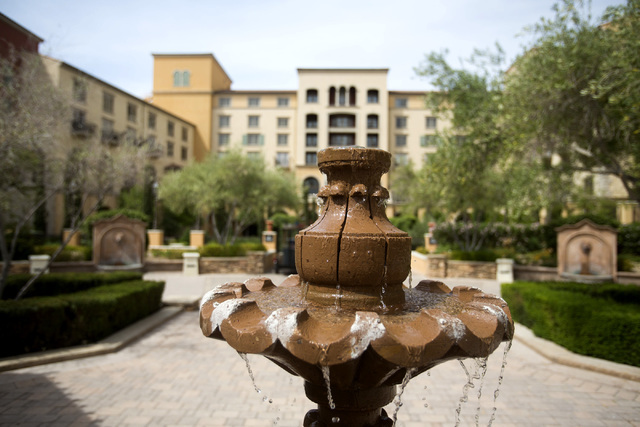 The property was designed to cater to corporate retreats, and some of the country’s largest companies visit Lake Las Vegas to launch new products or hold national sales meetings. Occasionally, the excursions are spin-offs from a Strip trade show. 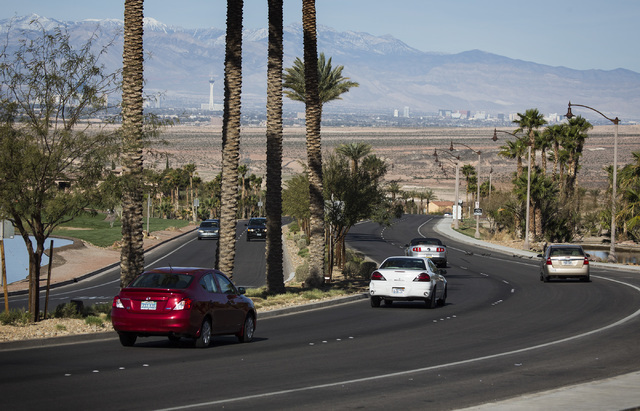 Even Las Vegas companies send executive teams for an experience 17 miles away from the Strip. The hotels try to lure business to the tranquil lakeside resorts, where surrounding mountain ranges block the Strip’s flash. “We actually brand ourselves as ‘the other Vegas’ because we’re very different than what happens on the Strip,” Boland said. 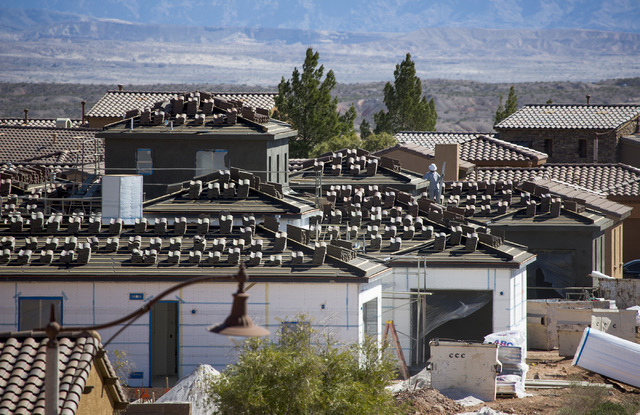 Like the rest of Southern Nevada, Lake Las Vegas sustained the brunt of the recent economic downturn. Westin took over the 493-room hotel that opened as Hyatt Regency in 1999, and was later renamed Loews. 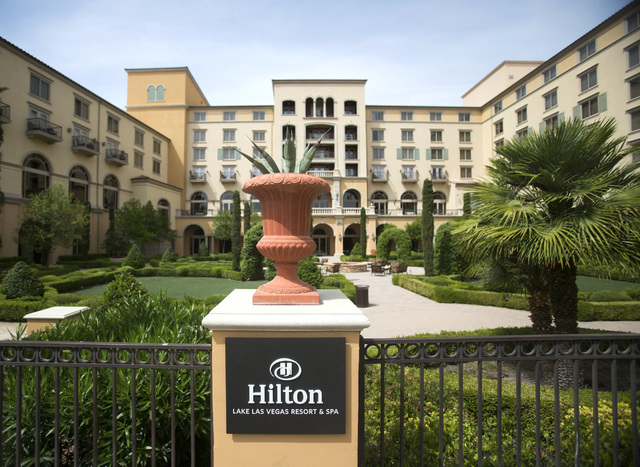 A year ago, Hilton took over the 349-room Ravella and its adjoining casino after a California developer paid $46.9 million for the property, which opened in 2003 as Ritz-Carlton. Recently a group of Google employees toiled under the sun on a half-acre white- sand beach outside the Westin, building cardboard boats for a race in the lake’s shallow end. Boland recalled a another corporate retreat in which the group built a catapult and fired tennis balls at a boss aboard a paddleboat on the lake water. Other groups network around the fire pit in cooler weather, or enter breakout rooms for corporate meetings. “Our resort is conducive to that because it’s a lot of open spaces. During a retreat with its sales team, Boland said, Ducati set up a motorcycle demonstration in the 1,000-space parking lot, displaying 20 new bikes. Westin is a nongaming property, with 50,000 square feet of meeting space, a 20,000-square-foot ballroom and 14 breakout rooms ranging from 600 square feet and 1,400 square feet. Retreat prices vary depending on the group’s size and types of activities offered. Hilton offers basketball courts and beach volleyball on land, and kayaking, sailing and catch-and-release bass fishing on water, with a professional bass fisherman who trains guests. 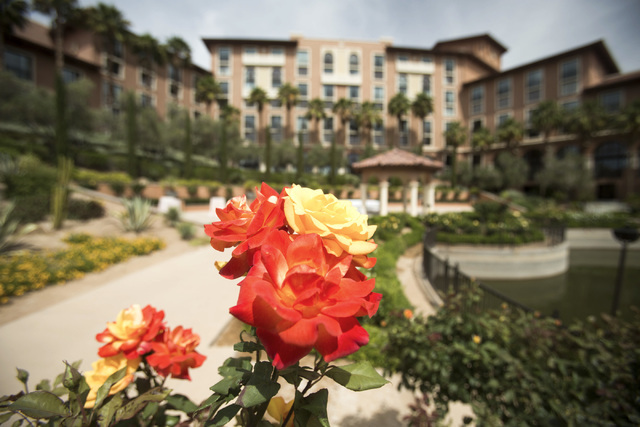 Corporate retreats have become a trend in hospitality, and Lake Las Vegas can host such excursions. “That’s the beauty of the destination,” Gasta said. Contact reporter David Ferrara at 702-387-5290 or dferrara@reviewjournal.com. Follow @randompoker on Twitter:.